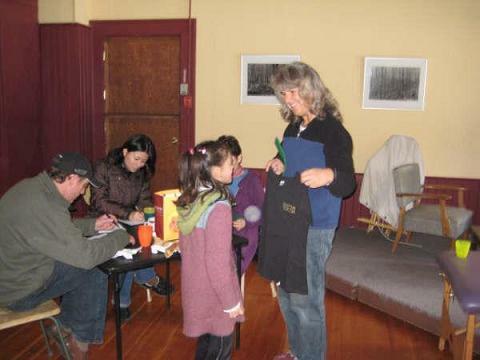 In March, 2009 Mariko and her family came from Calgary, Alberta to attend a Basic Live workshop in a very small town in British Columbia. I remember asking Mariko if they had family or friends here because they said they were from Calgary. But ˜no she said, the workshop just worked perfectly for her schedule and her daughters spring break. Wow, I said, thats a long way to go for a workshop, but Mariko was not deterred. She then asked if a person who spoke poor English, but had read the ˜Quantum Touch, the Power to Heal book in Japanese would get much out of the workshop. 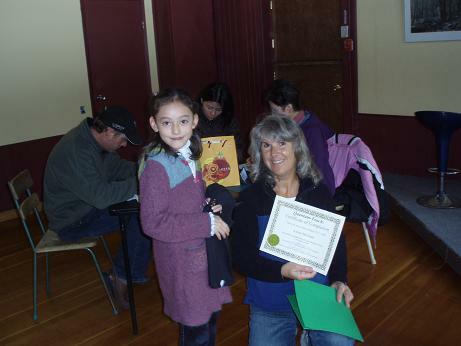 I said that she would because she had read the book and that I would allow time during the workshop for her to translate. Then Mariko asked if a 7 year old could learn Quantum-Touch. I didnt know myself as I had not taught any children in my workshops, so I emailed Quantum-Touch headquarters and asked them. I forwarded their reply to Mariko. Quantum-Touch said that children were great energy workers and they get it much quicker than the average adult. So Marko registered all 3 of them to take the workshop, the mother, the grandmother and the 7 year old. At the last minute Mariko calls me and asks if her husband could come too as he had unexpected time off work. Wow, I thought, a family affair. As I knew they were traveling from a great distance I invited them to stay with me. What a delight it was to have this family in my home. We stayed up late and talked about many things, but Quantum-Touch was on top of the list. 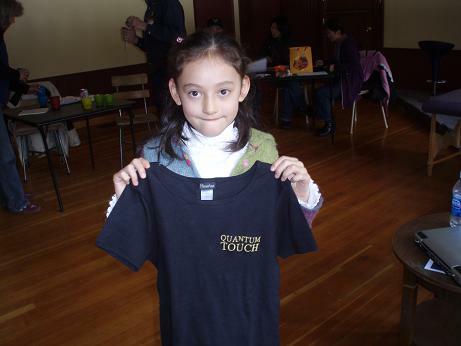 I have been teaching Quantum-Touch workshops with another instructor, Roger Lacoursiere, since April 2008, and we were both amazed and delighted by this 7 year old. She was so connected and understanding of all the things we instructed her in. It was funny, actually, as Roger would make his usual presentation and then ask Aimee (the 7 yr. old) to repeat what he said or comment on it...and she did. She understood exactly what he had said and what the intent was. During the practice periods Aimee was very quick to finish her energy work. Roger commented that her energy was so pure, that she was able to get the job done so much quicker than others. We all enjoyed and interacted with Aimees energy. Im writing this article in the hopes that other people will read this and realize that children are our window to the future. What do we want to teach them??? If we can bring more peace and understanding into the world through our children (who will inherit the world anyway) would it not be worth our time to do it now?? ?